System Recordings News: Daphnia 'Mysterious World EP' - Available Now! Daphnia 'Mysterious World EP' - Available Now! 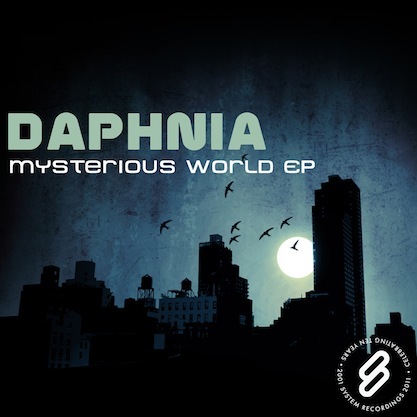 January 28, 2011 - Producer duo DAPHNIA explore dark, deep terrain with the 'MYSTERIOUS WORLD EP' featuring "MYSTERIOUS WORLD" and "DOLPHIN".